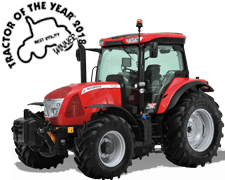 In order to make the most of your farming operations, it is crucial to have an efficient tractor you can always rely on. For a care-free activity, you must make sure you carry out your maintenance properly and consistently. All this requires a commitment, and results show that it is really worth it. 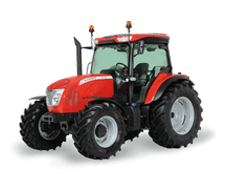 Proper maintenance rewards your efforts: your tractor will retain its efficiency, use less fuel, have a longer life and require less extraordinary maintenance. A small daily investment will allow you to off set your costs by saving on fuel and spare parts, ensuring a performing and lasting vehicle. This is a long-term investment, which requires a few, simple measures, in addition to regular checks to be scheduled at authorised dealers’. McCormick’s skilled operators will help you take care of your tractor’s good health. What do you mean by tractor maintenance? 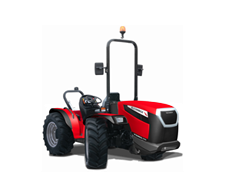 Tractor maintenance includes a number of activities needed to keep your tractor efficient and in good working order. 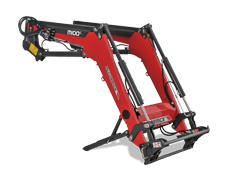 More specifically, ordinary maintenance defines all operations carried out regularly by operators; general maintenance, in turn, is scheduled at given intervals and carried out at dealers’, and extraordinary maintenance, finally, is required when the vehicle displays problems or issues. 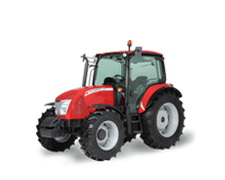 All operations carried out by tractor operators are defined as ordinary maintenance, and include a number of daily operations, such as radiator and filter cleaning, component greasing and oil level checking. The frequency of such checks may vary depending on how the vehicle is used. 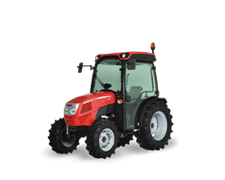 In case of very dusty terrains, of course, filters must be checked more frequently, while if the tractor remains idle for a long time, then less maintenance will be required. The status of your vehicle must be constantly monitored. 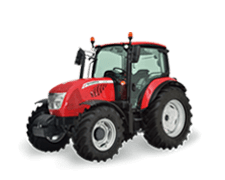 The key information needed to keep tour tractor in shape are set out in the operator manual, which gives a detailed account of the periodical operations prescribed for your vehicle. check the engine oil level as well as crankshaft and rear gearbox levels. If one of these should be low, it must be topped up in order to restore the correct level. Even if the vehicle were to remain idle for a prolonged period of time, remember that oil deteriorates and must be replaced after a certain time, as specified in the operator manual. Always use the amount of lubricant oil specified by your official McCormick dealer in order to ensure your vehicle stays in good shape. Clean the air filters regularly, as well as radiator grilles and the opening parts, if available. During field work, filters can get clogged with dust or other materials, and therefore must be cleaned using compressed air or as described in the manual. Moreover, the filter must be replaced making sure this is done at regular intervals; the frequency depends on the way the vehicle is used. Parts lubrication. Some parts must be lubricated daily, others every 100 hours of operations, others require longer intervals. For further information on maintenance intervals, please refer to the manual or ask your local McCormick dealer. Check the water-fuel separator, and drain any water collected from the filter tap. Drainage is crucial to prevent water from leaking into the fuel circuit and causing major damage. 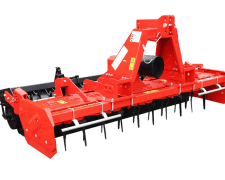 If you carry out the above operations regularly, your tractor will have a longer life and will be more efficient, the parts will also live longer and the risk of having to carry out extraordinary maintenance will decrease; finally, general costs of operation and maintenance will be lower. 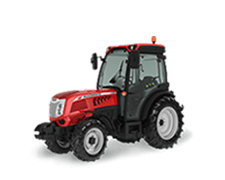 General maintenance means the number of operations carried out periodically, at scheduled intervals, by skilled operators, which require specific expertise for your tractor. Therefore, you must bring your vehicle to your dealer at regular intervals for a complete check-up. 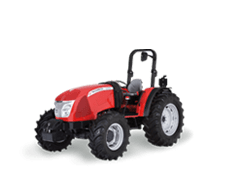 Remember to use an official McCormick dealer, whose maintenance operators will have been suitably trained on every vehicle in the McCormick range. More specifically, state-of-the-art technology requires suitable diagnostic tools and skills concerning technical specs, mechanical parts and software programmes. And who knows a vehicle better than those who built it? Extraordinary maintenance is the most challenging: it is carried out by skilled service operators whenever issues arise. In order to reduce these problems to a minimum, ordinary and general maintenance must be carried out religiously. 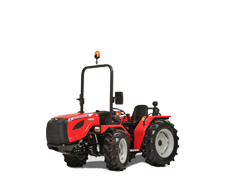 Your tractor will operate properly and extraordinary maintenance will just be a remote possibility. This is why it’s always good to remember that ordinary and general maintenance are an investment: besides saving on operations and spare parts, you also ensure that your vehicle is more efficient, also in terms of fuel consumption. Moreover, you avoid the risk of vehicle stoppage, which ultimately causes you to lose precious hours. 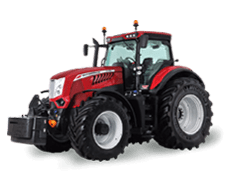 For a consistently healthy, efficient and performing tractor, you should see to regular ordinary maintenance and schedule your general maintenance. If you haven’t yet, learn your McCormick maintenance manual to find out what your vehicle needs. 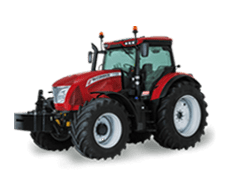 Remember that in case of need you can always get in touch with our authorised McCormick dealer experts who are perfectly suited to recommend the best for your tractor. 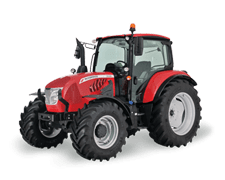 Keeping your tractor properly maintained is always the winning choice.